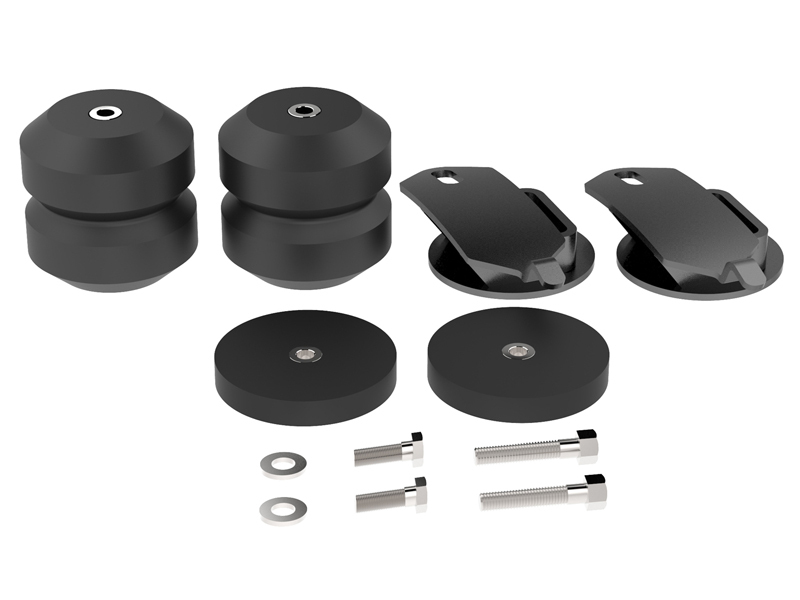 The Timbren Suspension Enhancement System is designed to enhance a vehicle's empty ride quality while providing protection against overloading. The cushions absorb road shock while automatically adjusting to uneven loads and rough road conditions. Easy install - No holes to drill, or airlines to route. "S.E.S" kits typically install in less than 30 minutes with the use of basic tools. See installation instructions link below for more information. Timbren Industries is a dynamic corporation producing Aeon® Hollow Rubber Springs. Since 1968, they have been producing quality ride control products and suspensions. Utilizing the latest technology, Timbren uses computer-assisted design and manufacturing processes to produce quality ride control products for today's market. Timbren is registered ISO9001:2000. These ISO standards ensure that consumers will always receive quality products from Timbren. Timbren's core product, the Aeon Hollow Rubber Spring, is world-renowned for an efficient, reliable suspension system. Many manufacturers, including Bombardier, Mack and Kenworth, directly utilize Timbren kits in their commercial products. Many other fleets, modifiers and converters install the Aeon spring as a supplementary suspension for their vehicles. With 40 years experience manufacturing Aeon Hollow Rubber Springs, Timbren Industries is prepared to meet your needs. They offer the best quality and reliability in rubber suspension products. For all your suspension demands, choose Timbren's Aeon springs.